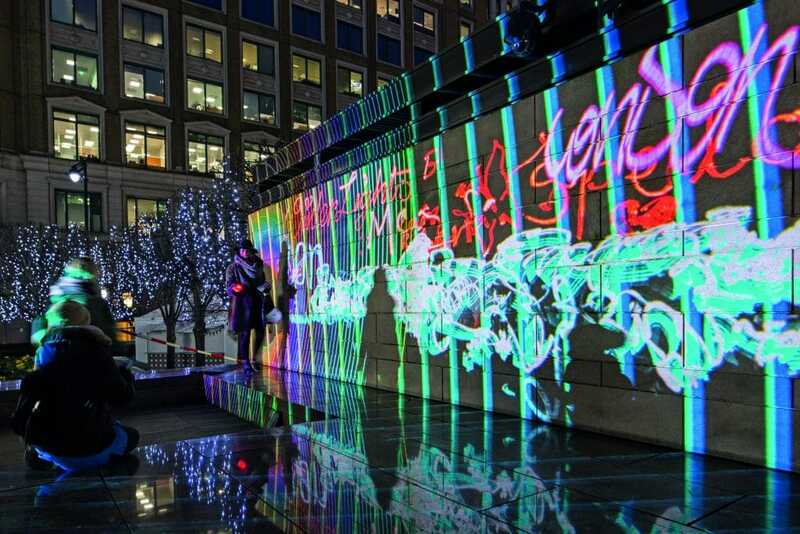 Canary Wharf is lighting up for Winter Lights Festival, and here’s what you can expect to see. 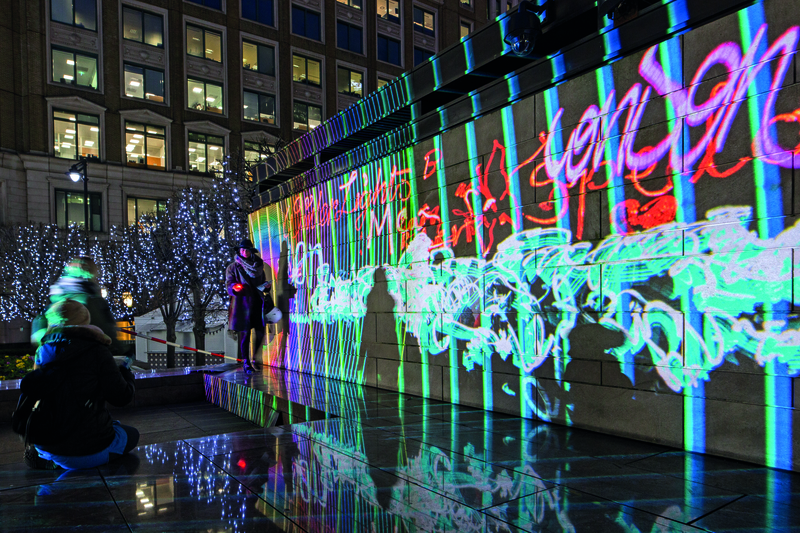 With thirty-three installations dotted around Canary Wharf, there’s a lot to see at the free Winter Lights 2018. The festival runs from January 16th-27th, and it’s free to attend. The installations will illuminate from 5pm to 10pm – you can plot out a route by having a peep at the festival map here. In the meantime, here are some pretty pictures of everything Winter Lights has to offer! 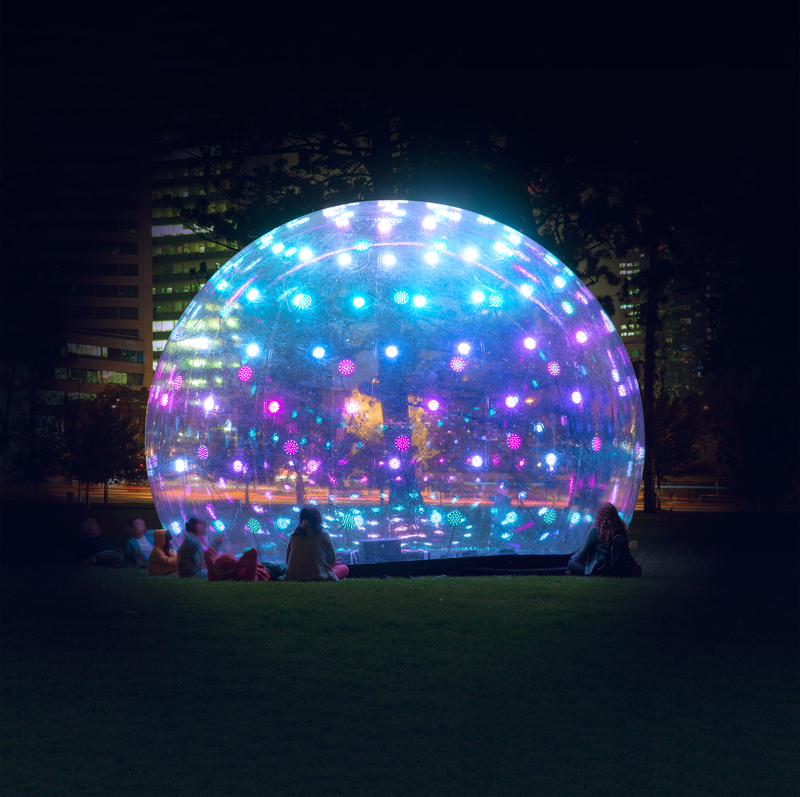 Designed by ENESS, this is a six-metre wide bubble which responds to touch. Expect it to produce light and sounds when you get close enough. 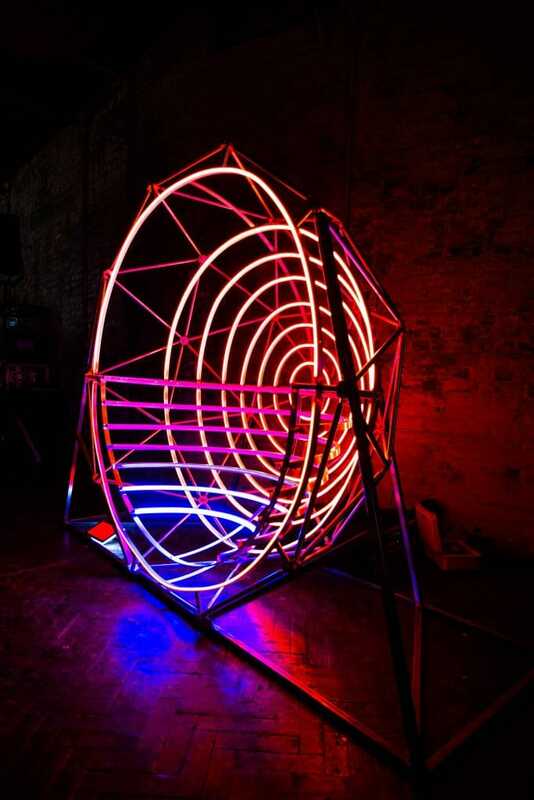 Cheekily, this is a permanent installation that has been included in the festival lineup. 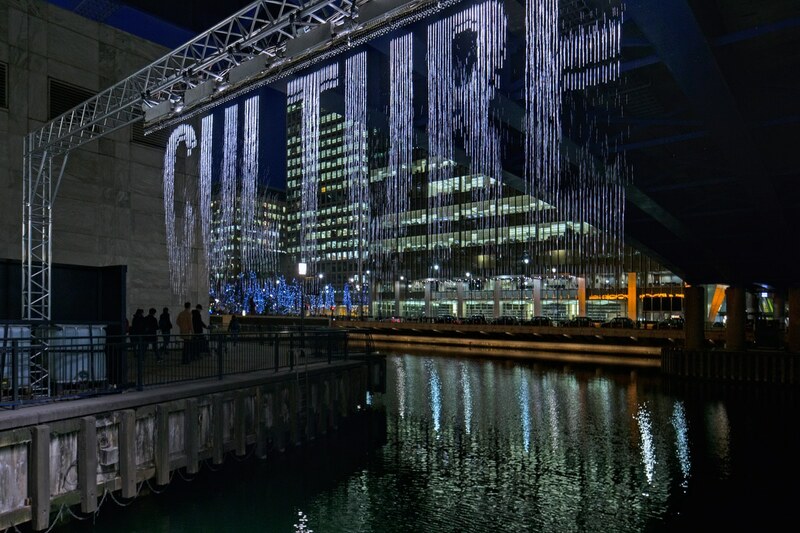 Julius Popp created this piece, in which falling water droplets are illuminated to produce a series of words. 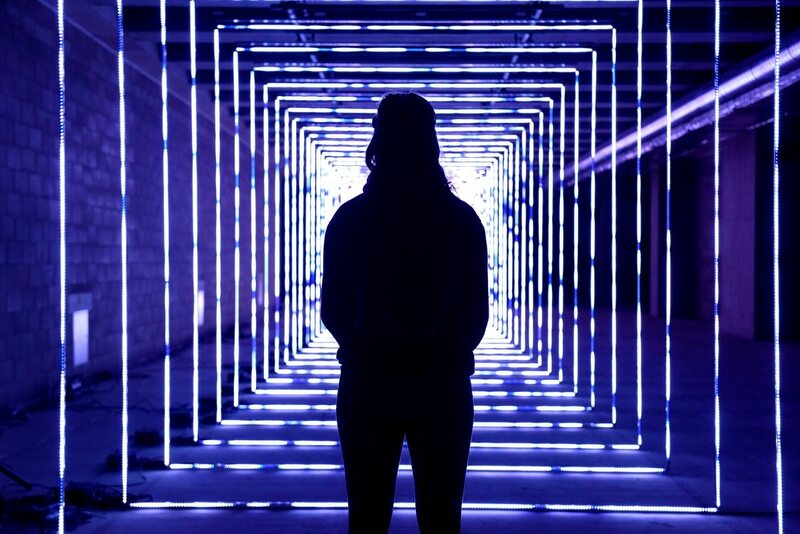 An installation designed to look like the Northern Lights, Laurent Fort’s Polaris is open from 12-10pm. 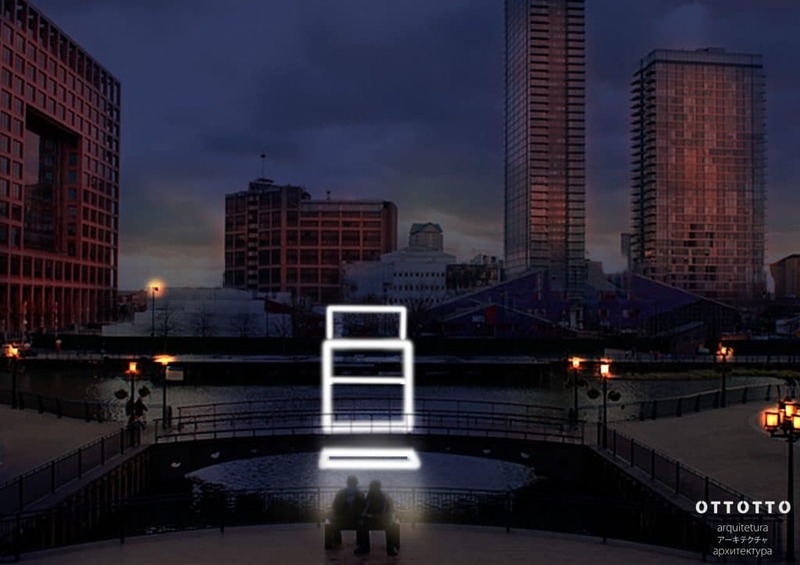 At night, Ottotto’s cube reflects the scenery around it, giving you a whole new view of Canary Wharf. 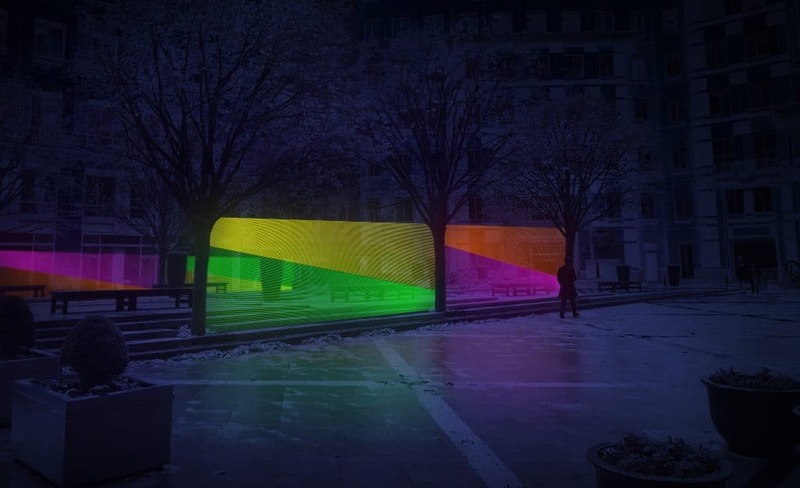 Under the trees of Westferry Circus, Tom Dekyvere’s illumination will connect a series of geometric shapes to reflect the growth of a plant. 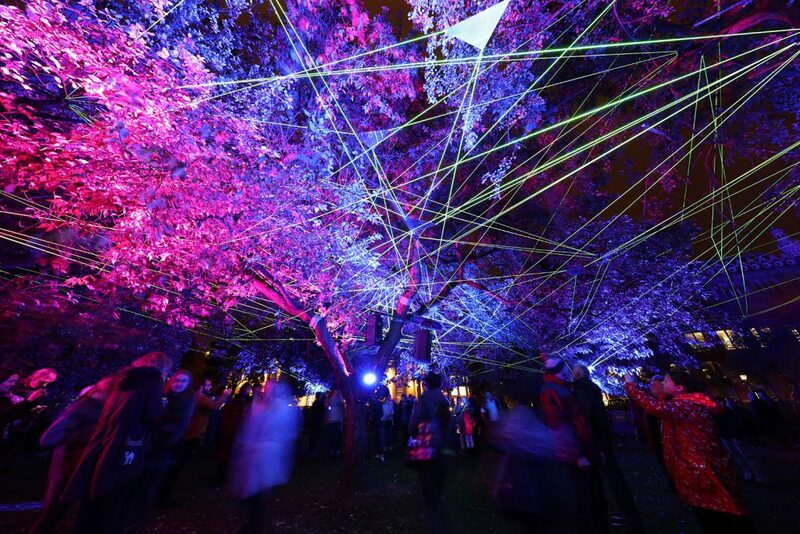 Hundreds of colourful lines will intersect to turn trees into barriers of light, thanks to Kasjo Studio. Another permanent installation pressed into festival service, these ten colour-changing illuminated benches were designed by LBO Lichtbank. 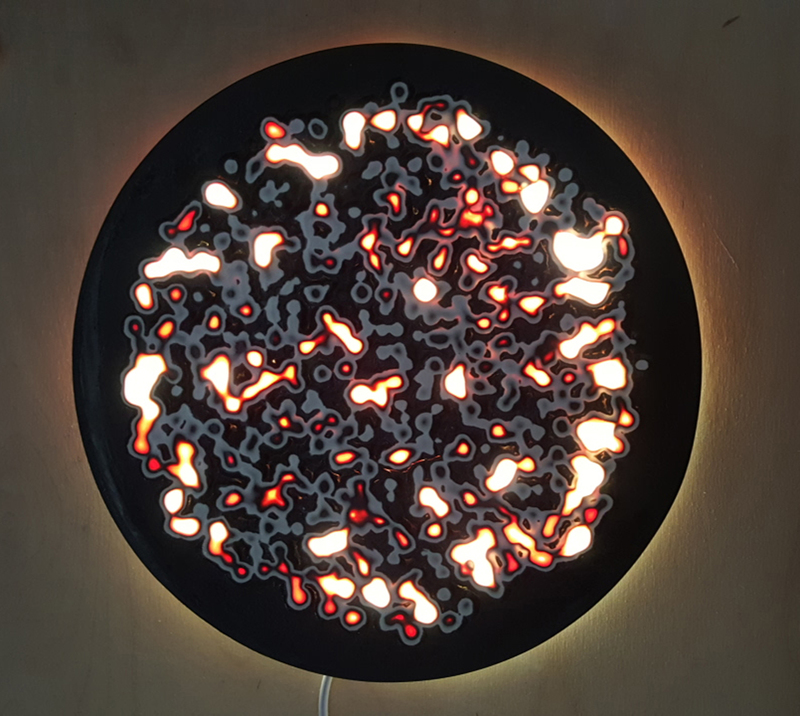 Amberlights are responsible for this one: twelve colourful panels will turn into a funky disco ball when the sun goes down. 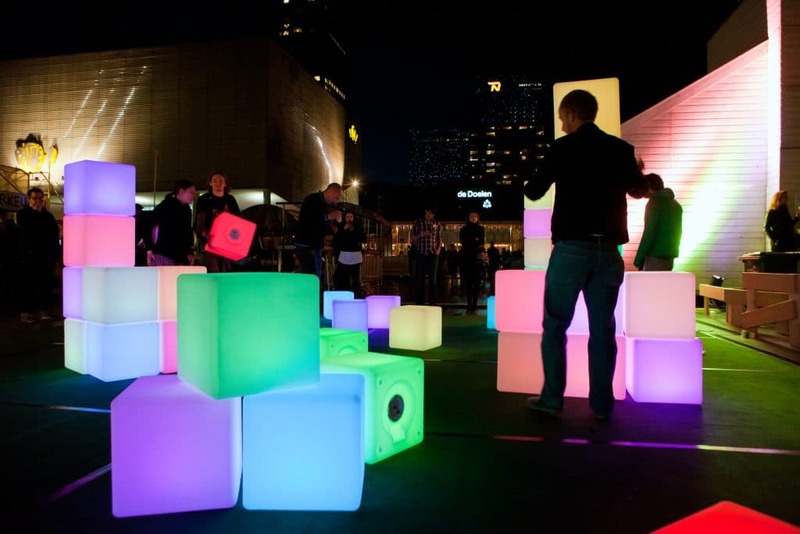 Jonas Vorwerk’s highly interactive exhibit invites you to build structures out of multicoloured blocks. 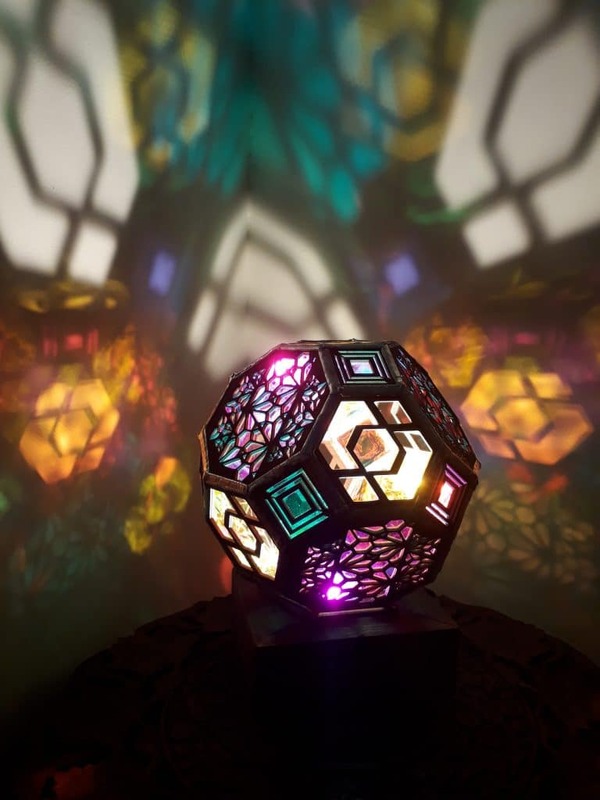 Think illuminated Lego and you won’t be far off. 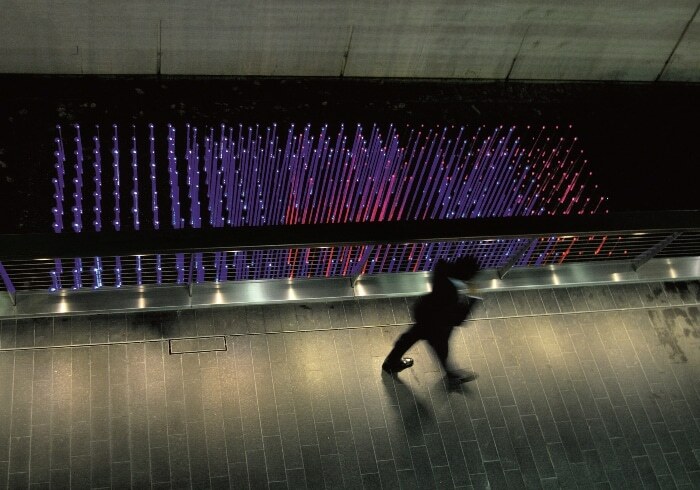 Hidden inside a water channel are 500 illuminated rods, which change colour throughout the day and evening, thanks to the vision of Martin Richman. 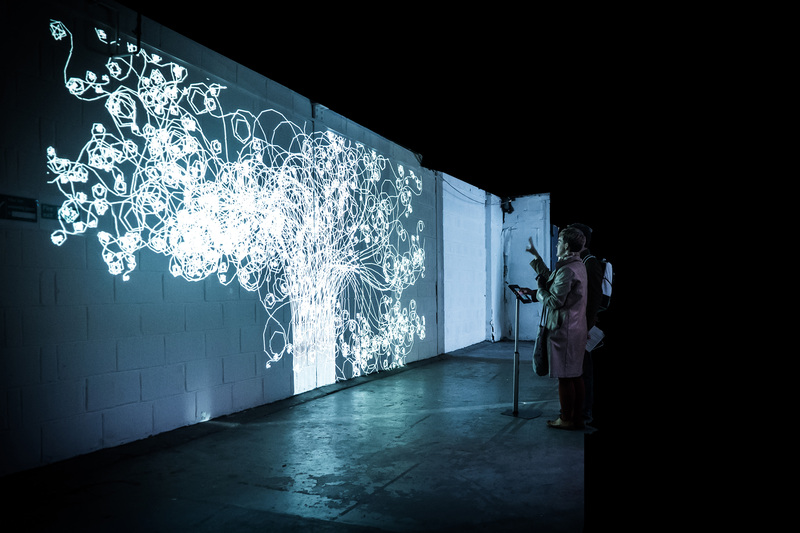 You’re in control of Philipp Artus’ piece, manipulating a touchpad to create patterns that resemble plants. 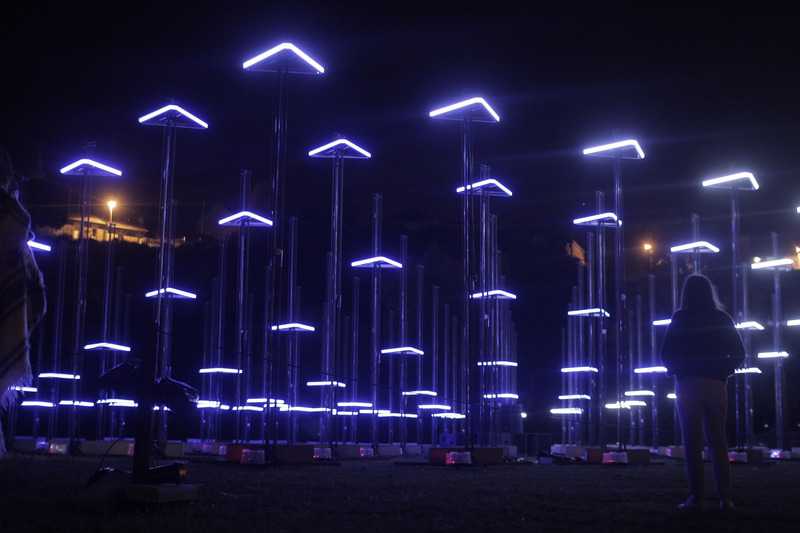 One of last year’s most popular installations, On Your Wavelength is a series of 30,000 LED lights that are controlled by the human mind. Pop on the EEG headset and watch Marcus Lyall’s installation respond to your thought patterns. 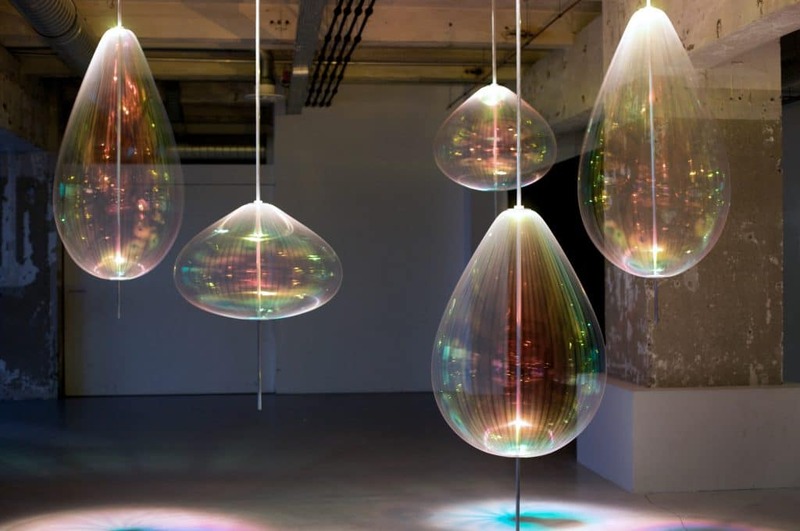 A second installation from Amberlights, this series will reflect and refract light to throw out dazzling patterns. 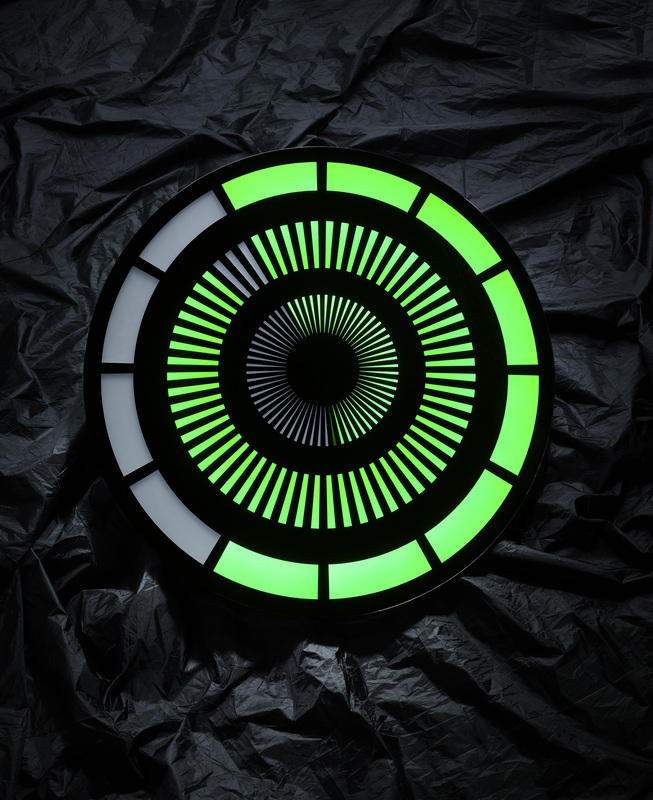 From the mind of Ben Rosseau comes Tempus, a version of a binary clock which tells the time using illuminated lines. 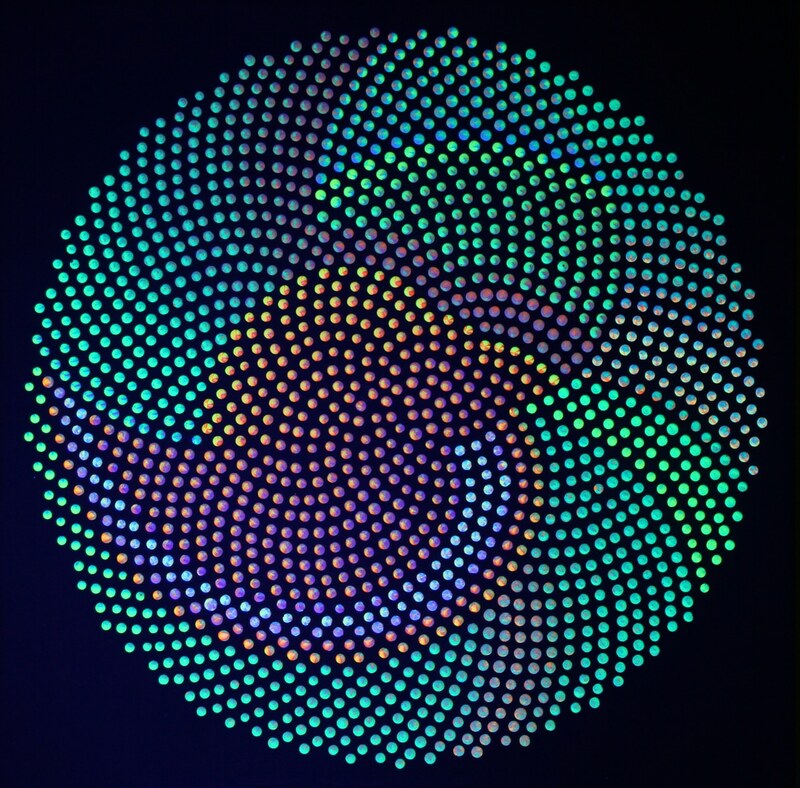 Joachim Suglocki creates glow in the dark paintings using geometric designs, and you can find them at Crossrail Place. This installation, from British artist Jessica Lloyd-Jones, will change colour and shape when viewed from different angles. 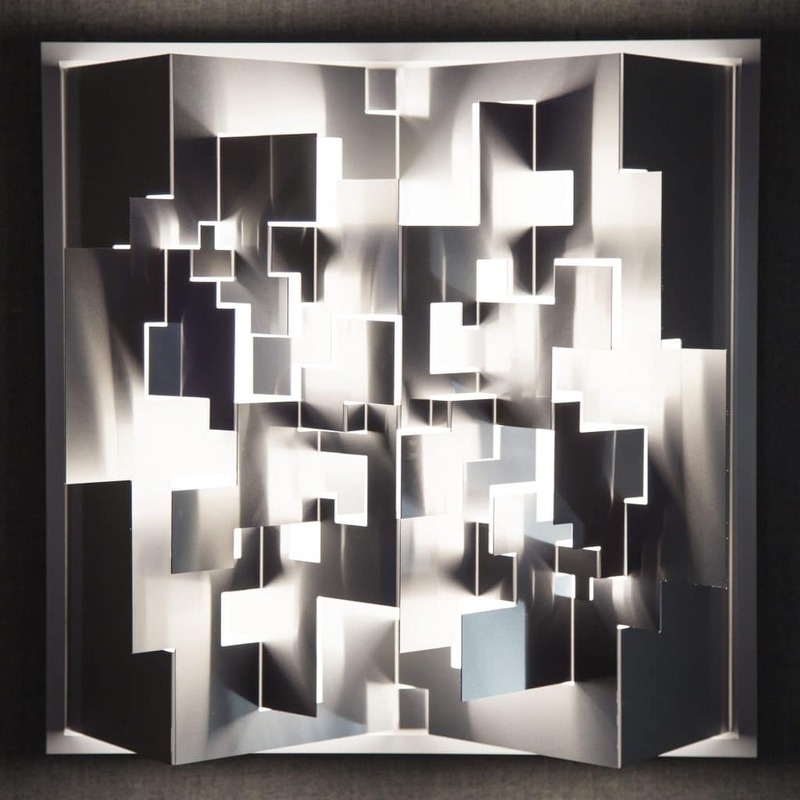 Mixing light and origami, this folding installation was developed by Kinetech Design. An homage to the eclipse, Reduced Landscapes is the brainchild of Maja Petric. By combining transparent foil and spinning motors, Michiel Martens & Jetske Visser have mimicked the journey of water droplets. 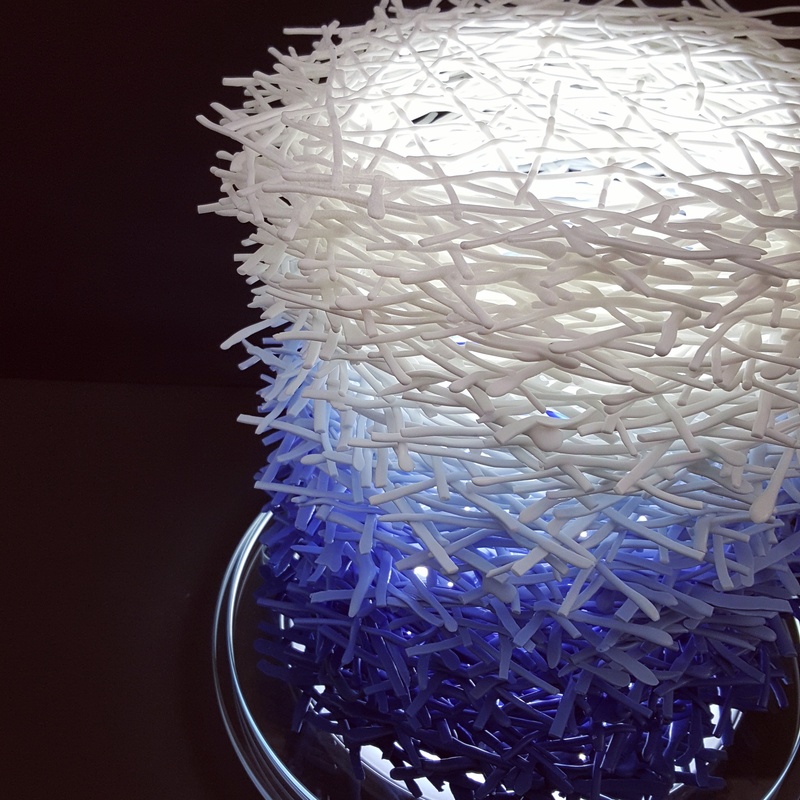 Combining fine bone china and LED lights, Manos Kalamenios has brought several creations to Winter Lights 2018. Using the power of social media, you can change the colour of the model’s clothes, meaning that no two visits to this installation by Cute Circuit will ever be the same. 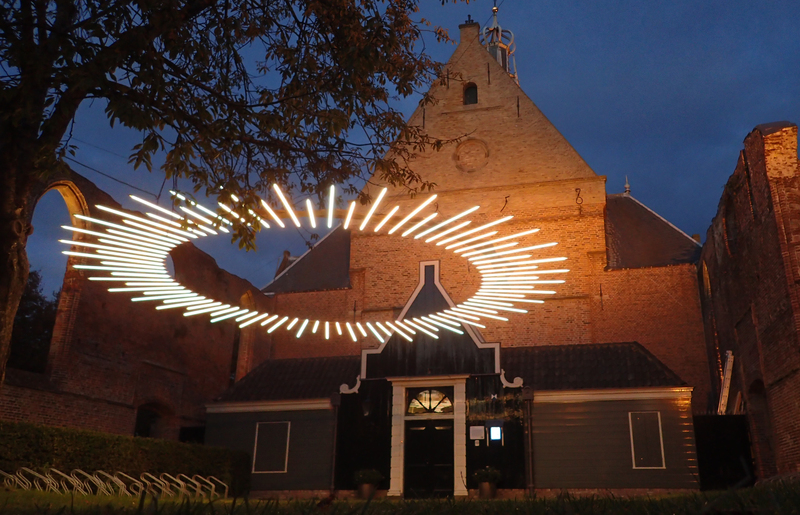 This three-way collaboration between DPA Lighting Consultants, LED Linear, and Architainment Lighting represents the phases of the sun. 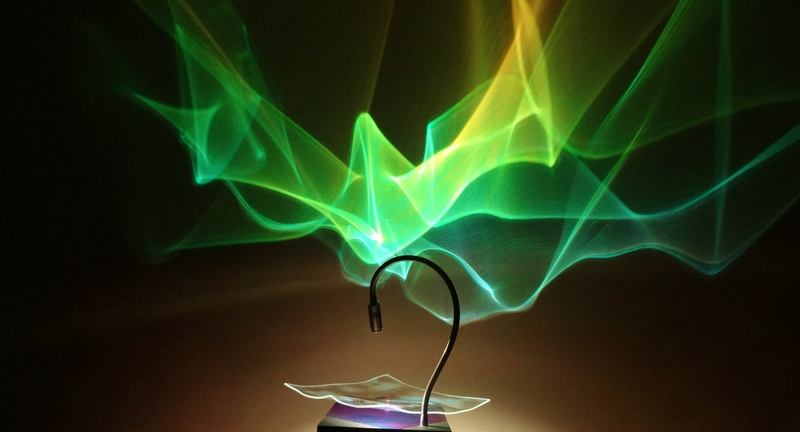 Lichtfaktor invites you to create your own light graffiti and map it on to any surface in the vicinity. 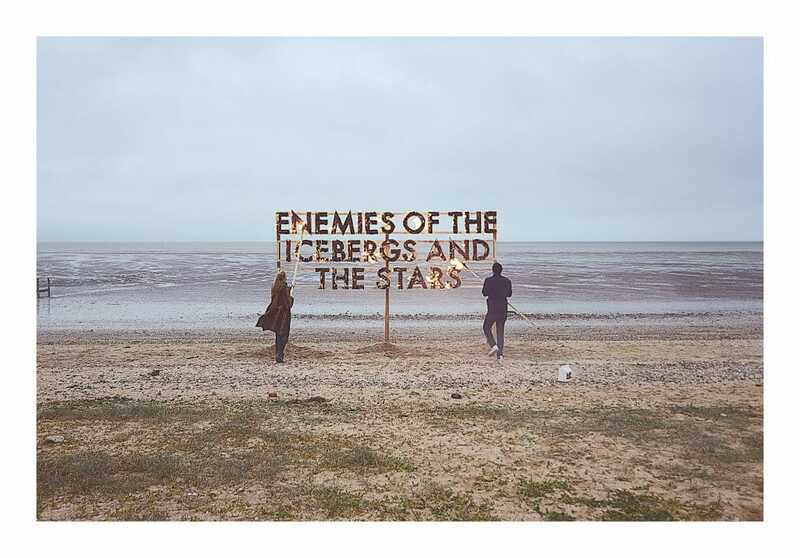 Artist Robert Montgomery initially set this poem on fire (as you can see), before reconstructing it out of neon and LED. 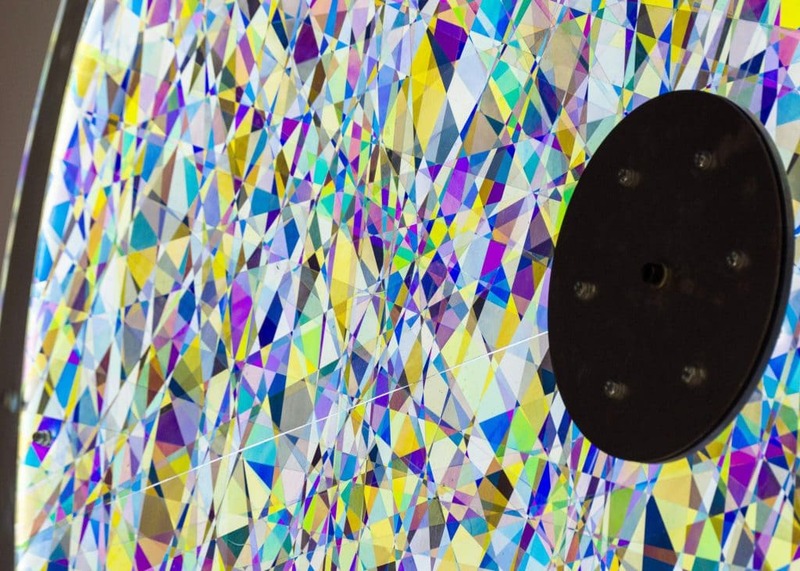 A film playing next to the installation will show the full process of destruction and creation. 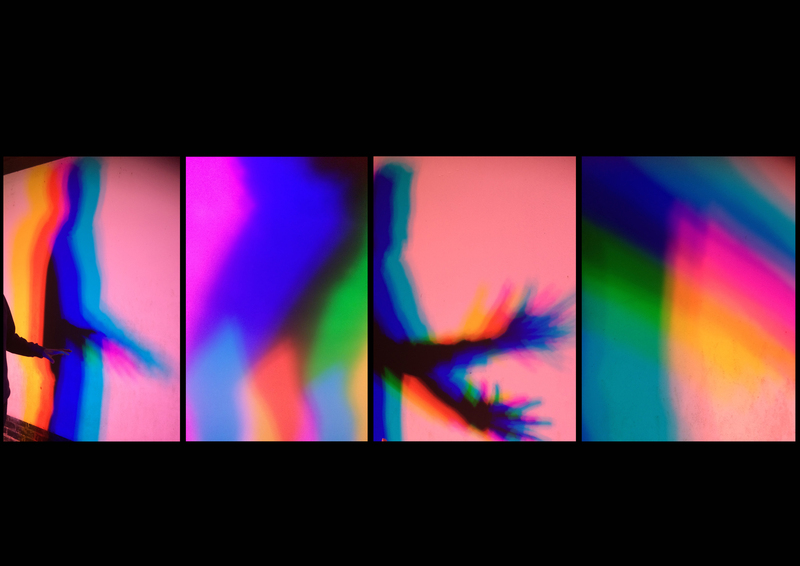 Visitors will enter Malgosia Benham’s cube and use their bodies to create shadows in a range of different colours. 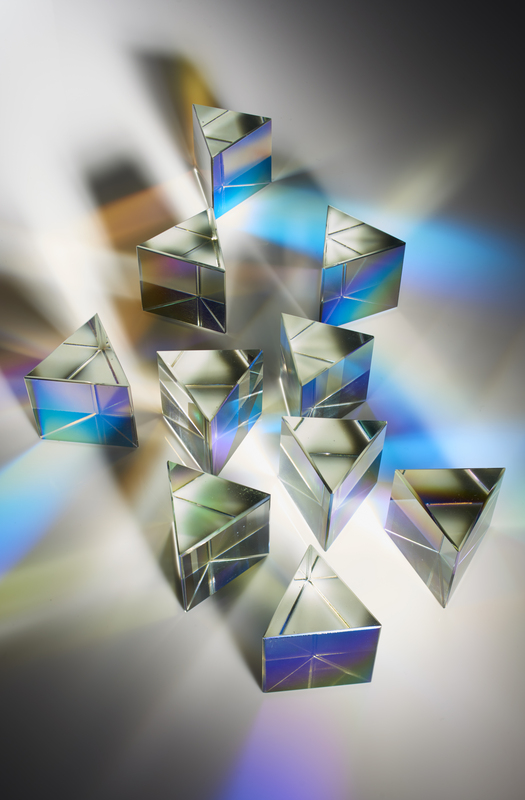 Fenella Osbourne’s creation reflects and refracts light onto the surrounding structures, creating vivid illusions. Another piece by Manos Kalamenios, this one resembles looking into a microscope at a world of colours. 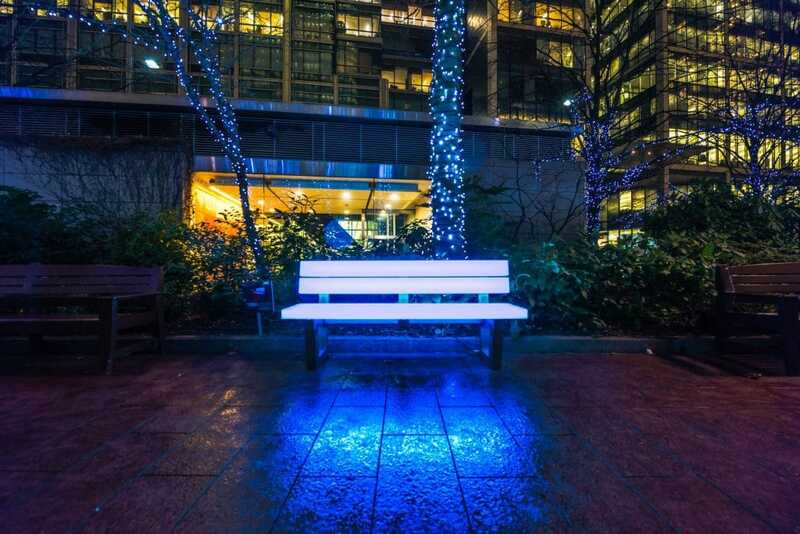 You may have seen this installation from Bill Culbert before, as it’s a regular fixture in Canary Wharf. 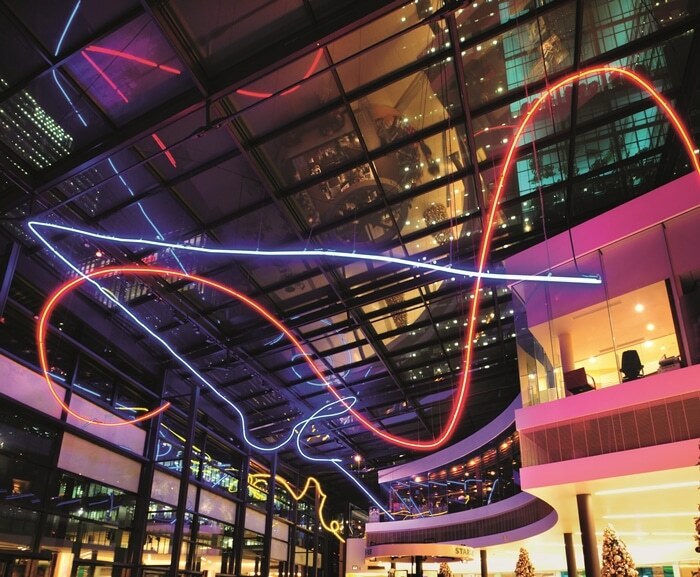 Lines of coloured light flow endlessly around the building, diverging and reconnecting. 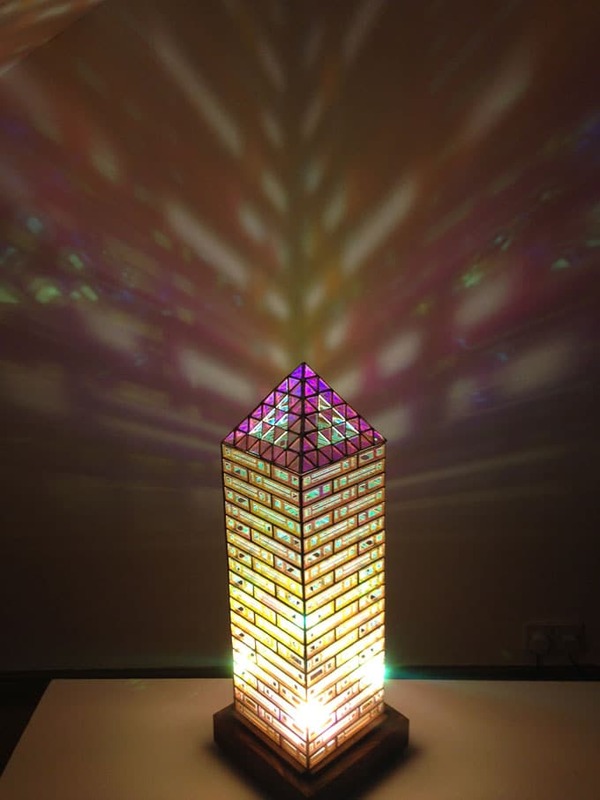 A new piece by Collectif Coin, Abstract represents the passing of time through the rising and falling of these LED triangles. Easily the cutest exhibit at Winter Lights, this is a series of giant inflatable bunnies, illuminated with white light. 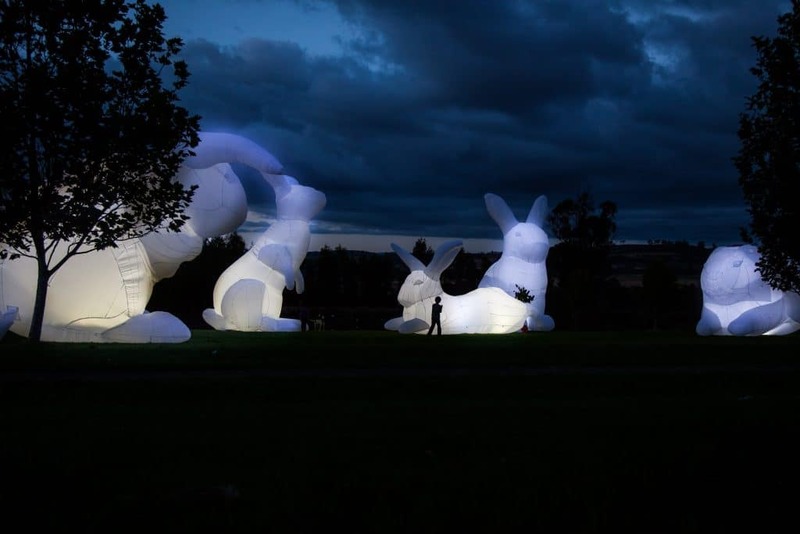 Amanda Parer raises questions about environmental degradation with this piece. Little Sun will provide the lamp, and you do the rest. 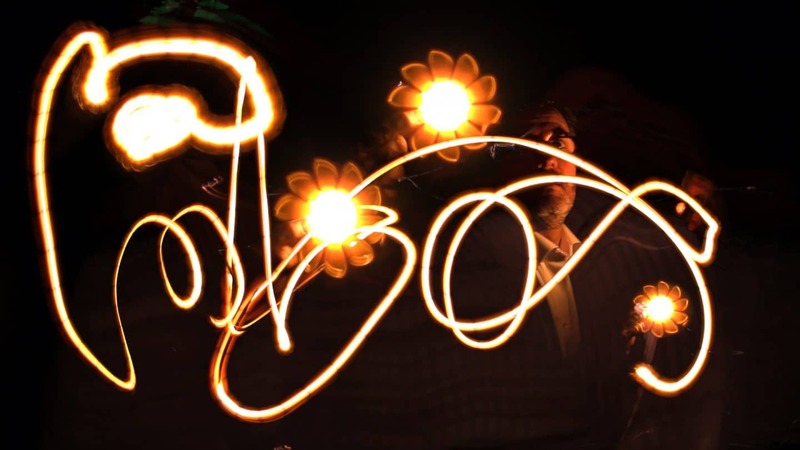 Weave patterns, write things, or simply jump around, and they’ll capture it with long-exposure photography to create beautiful images. Two sessions daily between 12-2pm, and 5-10pm. 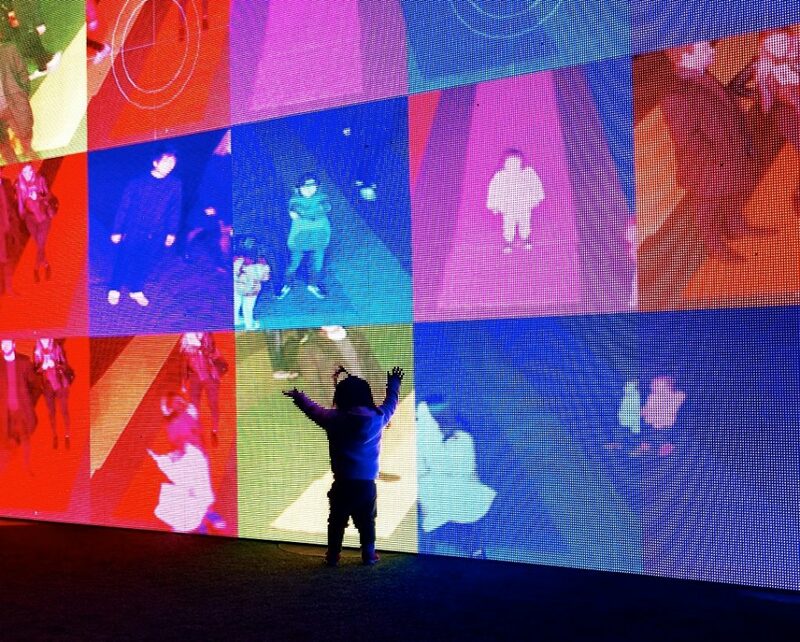 Another interactive exhibit, this captures the image of people walking along colourful catwalks, and posts them onto a giant screen. Strike a pose, there’s nothing to it! For more information and visitor guides, check out the Canary Wharf website.